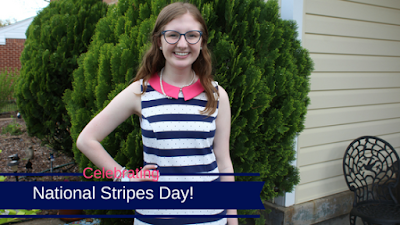 Saturday was National Stripes Day, one of the very few fake holidays I'll participate in, mainly because I have an awful obsession with striped clothing. 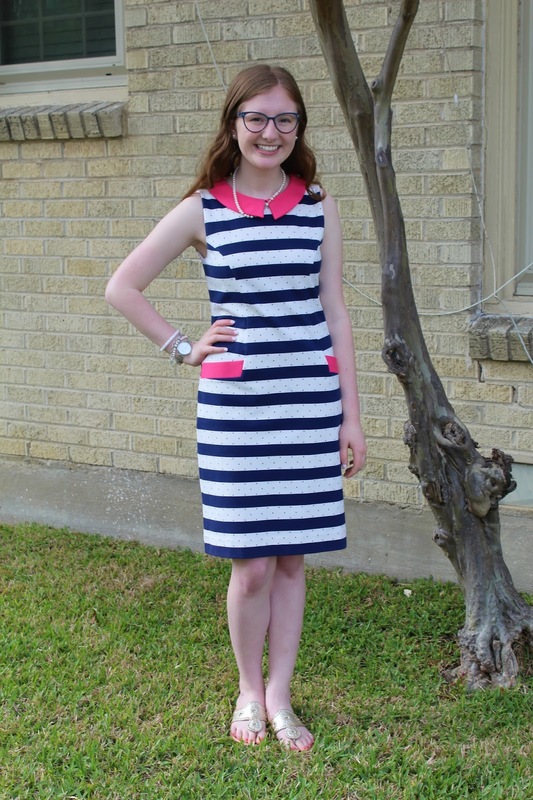 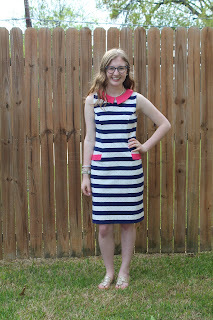 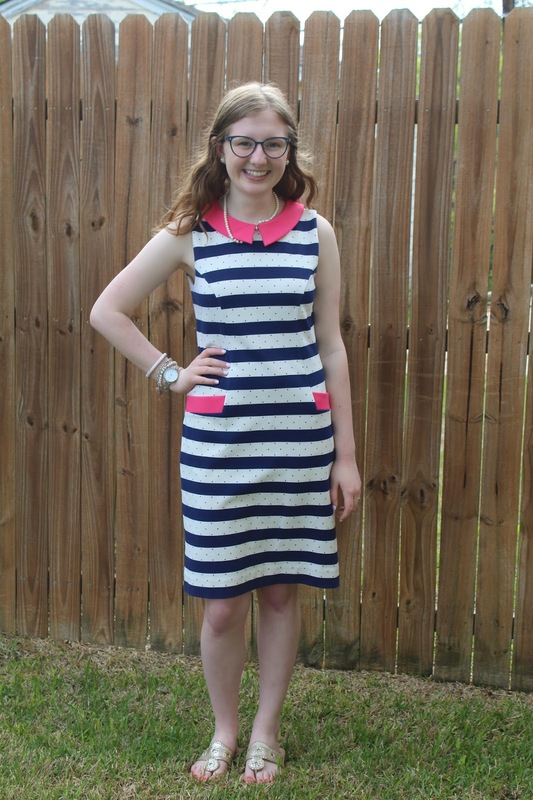 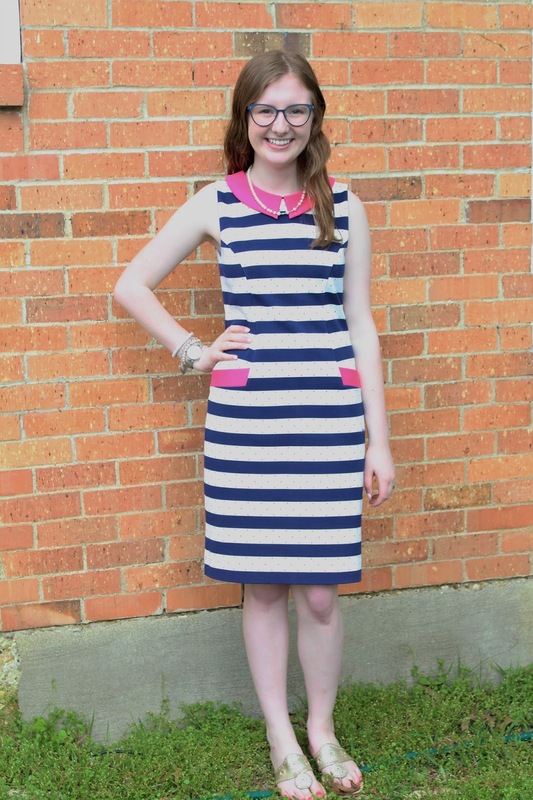 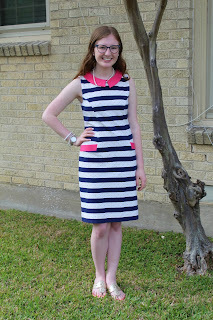 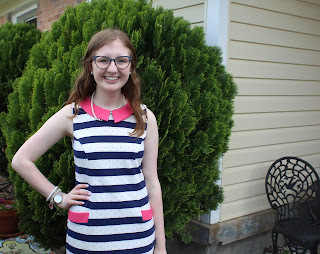 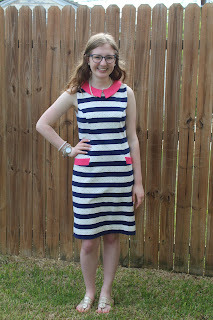 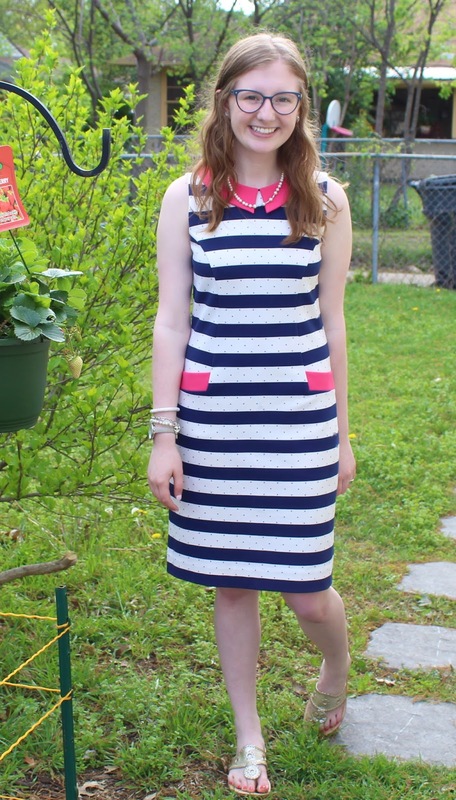 Stripes Day was a good excuse for me to finally wear this gorgeous dress! 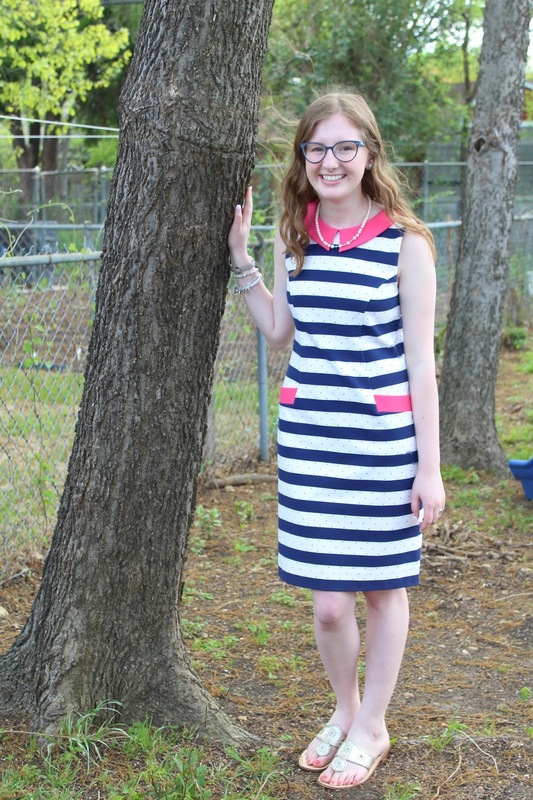 I actually found this Lilly Pulitzer Albany Dress at a thrift store and to my surprise it still had the lovely pink and green tag on it! 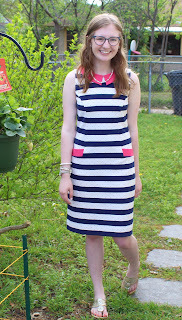 The dress has a cute pink collar on it and the back has a gold zipper going about half way down the dress. 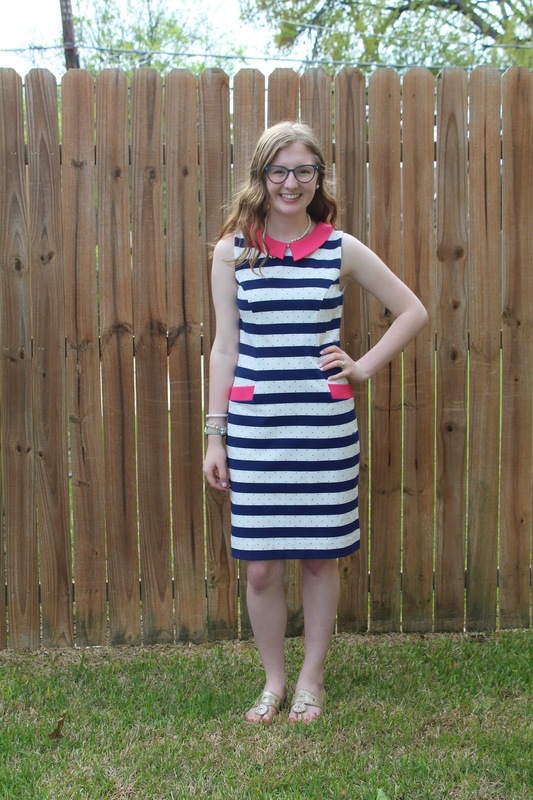 It has navy and white stripes but also has polka dots on the white stripes. 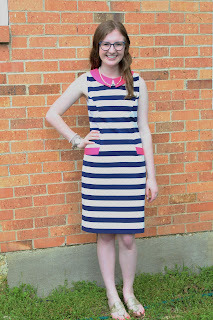 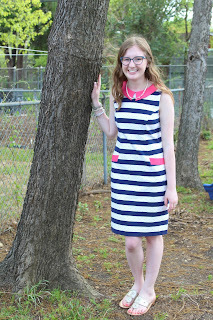 Within the dress you can find a few hidden "Lilly"s and my personal favorite part about the dress is the pink pockets!